The Toronto Real Estate Board reported 4,355 home sales through the TorontoMLS system during the first month of the year. This result represented a 6.1% increase over January 2014. During the same period, new listings were up by 9.5%. "The January results represented good news on multiple fronts. First, strong sales growth suggests home buyers continue to see housing as a quality long-term investment, despite the recent period of economic uncertainty. 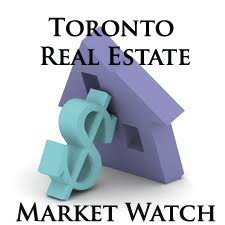 Second, the fact that new listings grew at a faster pace than sales suggests that it has become easier for some people to find a home that meets their needs," said TREB President Paul Etherington. The average selling price for January 2015 home sales was up by 4.9% year-over year to $552,575. The MLS® Home Price Index (HPI) Composite benchmark was up by 7.5% compared to January 2014.